Popular Vehicle Alert! This 2014 BMW X1 has been viewed by 110 shoppers in last 13 days. 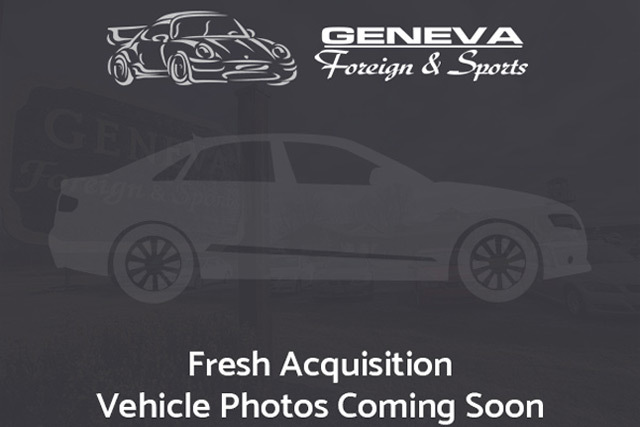 I wish to receive emails from Geneva Foreign & Sports regarding this Used BMW X1. I would like to schedule an appointment for a test drive on the 2014 BMW X1 stk # Y13664. With this exceptional SUV, you’ll get sport, utility, and comfort. Why spend more money than you have to? This BMW X1 will help you keep the extra money you’d normally spend on gas. When the BMW X1 xDrive28i was created, it was automatically enhanced by having the performance ability of all wheel drive. Not only will you notice improved steering and superior acceleration, but you can also rest easy knowing that your vehicle comes standard with increased stability and safety. This BMW X1 is beautiful and the interior is clean with virtually no flaws. At about 175 inches long–a little longer than the Range Rover Evoque, a little shorter than the Audi Q5–the BMW X1 is roughly the same length as a compact sedan, so parking and maneuverability will be easy. It also makes more of available space than some other small crossover vehicles, thanks to a low cargo floor and flat-folding seats. And while the X1 offers a lot of practicality and versatility–as well as EPA fuel economy ratings of up to 33 mpg on the highway–it promises good performance. Even with the turbocharged 4-cylinder in its sDrive28i guise, the X1 can accelerate to 60 mph in just 6.2 seconds. Come check out this Used 2014 BMW X1 stk#Y13664 at Geneva Foreign & Sports in Geneva, NY. This X1 comes equipped with All Wheel Drive capabilities and a 2.0L 4-Cyl Engine. Stop by Geneva Foreign & Sports today.